The rules set forth by the CMN on this Thursday (26) for Fintechs in Brazil have the potential to generate cost savings for these companies and may encourage the development of innovation in the industry. The gains are due to the end of the obligation of the companies to work with banks mediating their operations. As a result, consumers are expected to benefit from lower interest rates and more agile and unbureaucratized services. 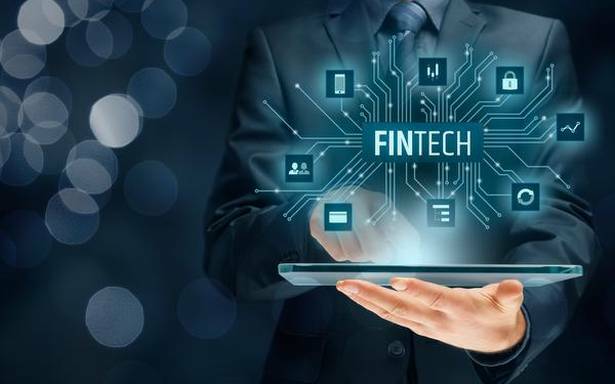 The assessment is by industry executives who feel that the rules help create legal certainty for fintechs and customers and also encourage the expansion of investments in this market. “Traditional financial institutions are neither ready nor willing to develop technologies and processes more efficient than a fintech demand. Now I can have registration and formalization processes based on my premise of greater agility, “says Fabio Neifeld, partner of a peer to peer lending company. This gain comes precisely from the independence that these companies have, to formalize the operations they generate from their site, since they no longer need a financial system partner to formalize their business. Sandro Reis, president of a Fintech, online credit, says that now it will be possible to carry out operations that might not interest the partner, such as refinancing customer debts. Sergio Furlo, founder of another Fintech, also of loans, says that it will be possible to develop new products with more agility. Among them, the entrepreneur highlights new forms of pre-approved credit being offered from the internet. The company gives credit in operations in which the consumer offers a good as collateral, promising in return less than usual interest. Experts estimate that the changes should increase competition in the banking sector. “They can fuel competition and push interest rates down,” says Juliana Inhasz, a professor at Insper. She points out, however, that the lending volume of these companies is still very small compared to the largest banks. “It’s hard to believe that things will change with the fintechs we already have today. We still speak of a few banks that control almost the entire market. With more companies, this may change, but for now, it is a hope,” she says. Bruno Polokan, director of another fintech, of online credit, says that regulation may help lower the spread (the difference between the interest the bank gets and what it lends). But this will depend on the customer as well. “The Brazilian consumer is accustomed to research a lot, but less often when talking about financial products. Usually, they did not have access to them outside the bank. Now, with the credit fintechs evolving and growing, this will increase competitiveness in the sector,” he points out. Another important change was the amount that can be borrowed in peer-to-peer mode (from person to person). At the hearing, the figure was at R$ 50 thousand per investor. The CMN has now decided that up to R$ 15,000 per company can be invested. With this, it seeks to encourage applications in various businesses to dilute the risk. Now, each investor can inject up to R$ 15 thousand per creditor company – the limit does not apply to qualified investors, who have more than R $ 1 million in the sum of all their financial investments. If Fintechs are duly registered, they will be able to enforce and charge interest rates only applicable to regular financial institutions, an oligopoly of centuries in Brazil. Currently, Brazil practises the highest consumer credit interest rates globally. Average interest rate is 7.3% monthly but may vary from 2%/mo in more secured loans to 15% on credit card charges, monthly. The change may open an interesting financial market for overseas players and, at the same time, help reduce the high rates applied in Brazil. Botinha & Cabral International Law Firm has a specialized desk of Digital Businesses and Fintechs in Brazil. Please get in touch with us through the form below.